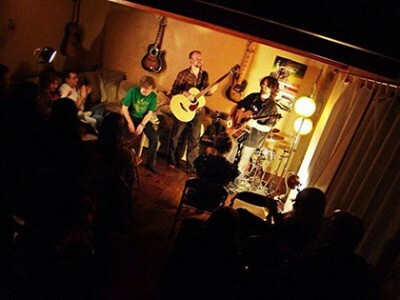 The Chimney Swifts, four musicians with an extraordinary passion for music, have been playing together for over four years, always including a number of original songs in their repertoire, alongside covers of well known songs. The group is made up of Jesse Potter – guitar/vocals, Jamie Loughead – bass/vocals, Liam Potter – guitar/drums/vocals, and Curtis Thorpe – guitar/drums. Check out their website for a bit of history on each of these wonderful musicians. This new, continually evolving band is sure to leave you with a smile on your face and a tune in your heart, and at Deep Roots we love seeing that. Be sure to check them out at this year’s festival.